If you’ve been browsing the internet in the last couple of days and you’re a fan of online video (you’re on this site, so we’re assuming you are) you probably would have already seen the new Greenpeace promo topping the viral video charts. 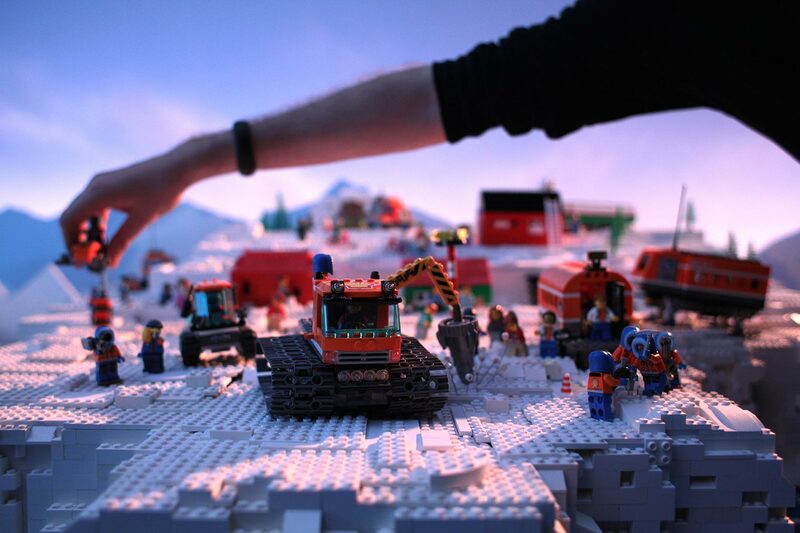 A video made to highlight the environmental organisation’s disappointment in family-friendly toy manufacturer LEGO’s affiliation with Shell. 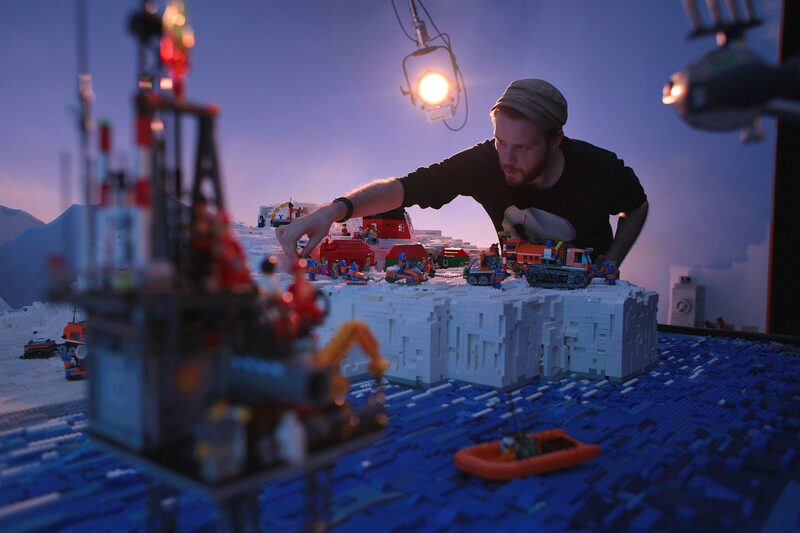 It’s a powerful short that uses the company’s infamous bricks to build a version of the Arctic that showcases the effect the multinational oil company is having on this frozen wonderland. Imagine you’re eight years old and picture the Arctic. There are no oil rigs, no industrial shipping and no politicians fighting over it. It’s just an endless sparkling expanse of sea and ice, populated by brave scientific explorers, magical animals and Indigenous Peoples who have called the far north home for millennia. An enchanted place to explore, create stories and let your imagination run free. At least that’s what LEGO is telling kids. Its new Arctic play set has brought the magical polar north into kids’ bedrooms around the globe. And by doing that it’s helping to educate children and create a generation of Arctic supporters who will be inspired to protect it. But sadly LEGO is only telling kids half the story. What it’s not telling them is how it’s also helping Shell to threaten this beautiful and fragile place. You can read the rest of the Greenpeace statement on their website, there’s also a press release about the video and if you agree with what they’re saying, be sure to sign their petition. How did you come to be involved in the making of LEGO: Everything is NOT awesome and where did the concept originate? The concept came from an agency who I’d worked with previously on the Most Shocking Second a Day Video and the Mos Def force-feeding virals. Richard Beer came up with this beautiful and simple idea and I instantly knew how it should look and feel, so they just let me get on with it. There’s a lot of trust there and that’s my preferred way of working – start with a great concept and try and make it better. The video has already clocked up over 2m hits on YouTube [Update: The YouTube video has now been removed due to a copyright claim by Warner Bros] since its release, did you know when you were working on it how big it was going to be and did you feel any pressure working on a project of this magnitude? I didn’t feel any pressure other than making sure the finished film measured up to my own expectations. I always concentrate on crafting a beautiful story with an emotional punch and hope to hell that people find value in the message by sharing it. How much attention did you put on getting a balance between the powerful message of the piece and it still being an entertaining and somewhat fun watch? This isn’t just the Arctic, it’s the Arctic of a child’s imagination. I noticed a few cameos in the piece – Halo, Game of Thrones – were these just fun cultural references or did they have a greater relevance? Although the Arctic is under threat by organisations like Shell, we’re using it as a metaphor. This isn’t just the Arctic, it’s the Arctic of a child’s imagination, full of their favourite characters and ideas, from Jon Snow to Hedwig the Owl. Halo has a particular relevance as our film is inspired by the beautiful Believe spot used to advertise Halo 3 a few years ago. 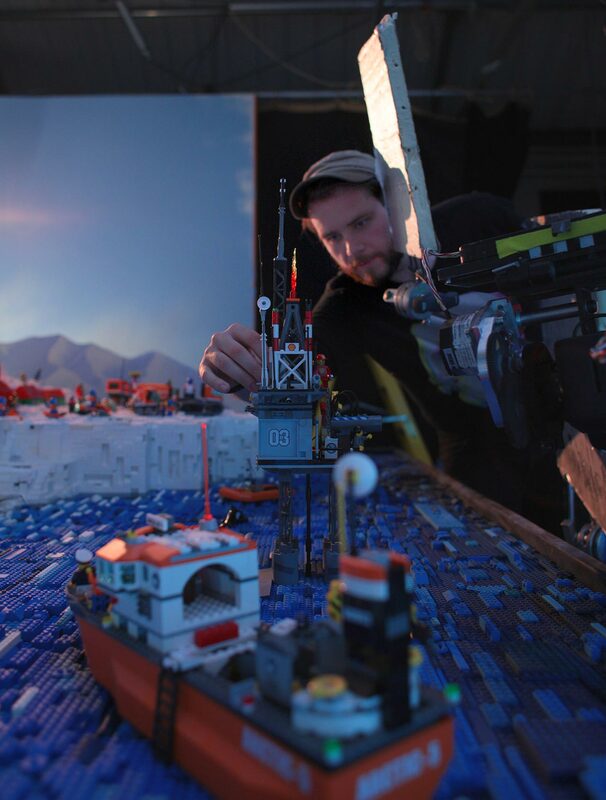 Whilst the main focus of the piece is obviously the message, it’s hard not be hugely impressed with the epic feel of the film – just how much freakin LEGO did you use? And how long did it take to put together the set. Haha, there is a lot of freakin LEGO! We used about 120kg to build the diorama which were all sourced from friends, freecycle centres and bundles from ebay and Gumtree. We had a team sifting through boxes and boxes of the stuff sorting them into colours and shapes. There was a lot of crazed mumbling by the end of the 3 weeks it took to build the set! What we can we expect from you next? As much as I love creating short content it’s time for a bigger challenge. I’ve created a TV series which is about to go into development and I’m shooting my debut feature in January next year. In the meantime I’m concentrating on not ruining anymore childhoods. A nice and well made video and concept; however, im somewhat confused about Greenpeace’s message. Lego is made from plastic which itself is made from hydrocarbons derived from oil. So the only way for lego to end its connections with companies like Shell is to stop making Lego – is that what Greenpeace wants? The problem though, is that LEGO actually only used the Shell brand in its sets associated with Ferrari. In fact, LEGO never even partnered with Shell, with their sets. Having the Shell brand on LEGO’s bricks was a result of partnering with Ferrari; a company who, by proxy, associated LEGO with Shell. Ferrari and Shell are long-time partners, so naturally, they decided to sell their LEGO toys at an easily accessible location; gas stations. Keep in mind, this all happened in the 80’s, and on a small number of special edition sets. For decades, LEGO has used the fictional brand Octan in their sets. Speaking of which, it’s a fictional brand that LEGO chose to make “green”; in current sets Octan is associated with renewable energy. The only other connection LEGO has with Shell is using them as a supplier of oil; what plastic is made out of. LEGO has even shown interest in plastics (hydrocarbons) derived from alternative organic molecules (e.g. carbohydrates, such as sugar) but at the moment, such a technology just isn’t feasible. Whether or not LEGO likes this partnership, it is an inherent need for their industry, just as it is for virtually every other one. I doubt the plastic pens in Greenpeace’s office, the chairs, the recycling bins, the computers or cameras used in this very film don’t include plastic parts made with Shell oil.